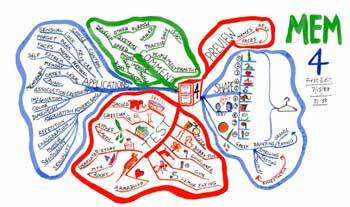 Mind maps are a tool for thinking. Instead of arranging your ideas in a sequence — as a list of words — you draw them in an arboreal fashion, radiating out from one starting notion. Mind maps use pictures instead of words, radial branches instead of linear lists, starfish instead of ladders, and associations instead of priorities — and as a result you think different. The visual trees you generate as you mindmap mirror the dendritic nature of our brain, and seem to flow more organically and (after practice) with less effort than the rigid discipline of making 1,2,3 textual notes. They are easy to doodle. Anyone can make them. Kids and CEOs as well as creative types. I’ve come to employ this style of radial association in my own note taking and personal brainstorming. 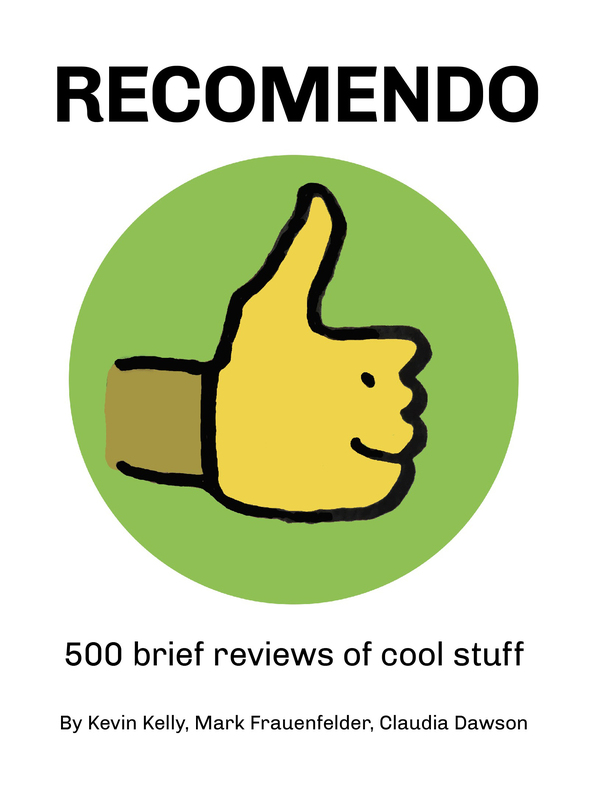 You don’t need this book to do it, but the book will help you refine your style, and it will help you expend its use. 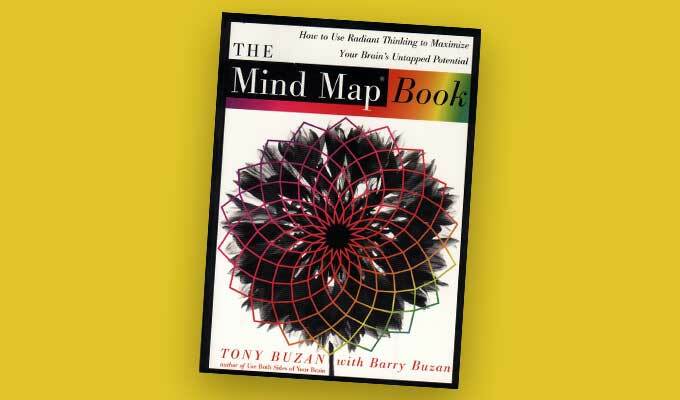 The authors, who’ve been perfecting and evangelizing this technique for decades, offer advice on how to use mindmaps to teach, as a form of diary, and most importantly, as a group exercise, say in corporate brainstorming sessions. There are software programs for mindmapping (which I have not tried), but for me the intensely kinetic mode of drawing ideas (if even on tiny scratch paper) is a great part of the technique’s ability to produce new and different perspectives. Mind Map by the well known film and video producer Dennis Harris, summarising an entire programme on Memory. An image automatically focuses the eye and the brain. It triggers numerous associations and is astoundingly effective as a memory aid. In addition an image is attractive - on many levels. It attracts you, it pleases you and it draws your attention to itself. If a particular word (rather than an image) is absolutely central to your Mind Map, the word can be made into an image by using dimension, multiple colours, and attractive form. Using images wherever possible gives all the benefits described above, as well as creating a stimulating balance between your visual and linguistic cortical skills, and improving your visual perception. Variation in size is the best way of indicating the relative importance of items in a hierarchy. Expanded size adds emphasis, thereby increasing the probability of recall. In order to develop a truly personal Mind Mapping style, you should follow the '1+' rule. This means that every Mind Map you do should be slightly more colourful, slightly more three dimensional, slightly more imaginative, slightly more associatively logical, and/or slightly more beautiful than the last. Progression of noting a 'very unhappy afternoon' in which application of the Mind Map laws brings the noter much closer to the truth. Standard phrase noting, which at first glance appears adequate, but which contains dangerous inaccuracies. a) The subject of attention is crystallised in a central image. b) The main themes of the subject radiate from the central image as branches. c) Branches comprise a key image or key word printed on an associated line. Topics of lesser importance are also represented as branches attached to higher level branches. d) The branches form a connected nodal structure. 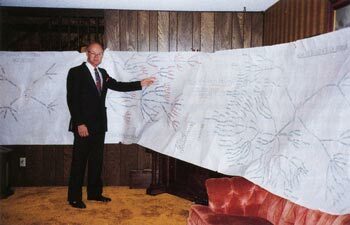 Dr. Stanley with the 25-foot long Boeing Aircraft Mind Map. Mind Maps are particularly useful for chairing meetings. The chairperson has the agenda on a basic Mind Map and can use this fundamental frame to add thoughts, guide discussions, and record the basic outline of the what will eventually be the minutes of the meeting. Colour coding can be used to indicate action, ideas, question marks, and important areas. Chairing a meeting this way allows the person in the chair to be much like a captain of a starship guiding it safely through the clusters and galaxies of ideas. A variation on this theme is to have an official Mind Map-minuter, sitting next to the chairman, in order to enable the chairman to participate on many levels at the same time, while keeping a constant overview of the developing thrust of the meeting.